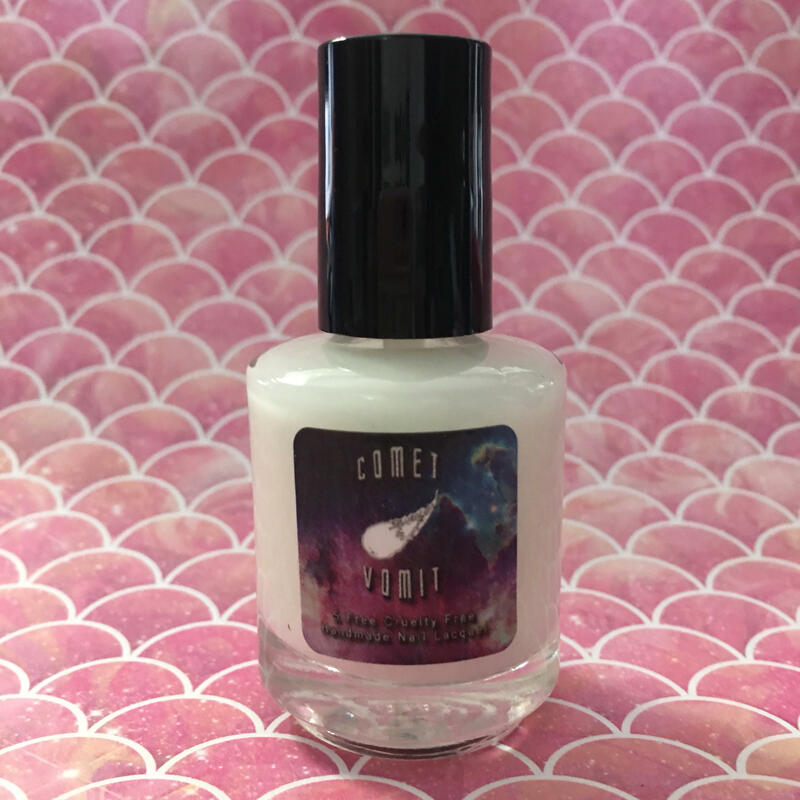 Moon Base is a milky colored base coat which dries clear and helps your nail polish stick to your nails and last longer before chipping. Apply Moon Base and let dry for a few minutes before applying your polish. For best results, too your mani with Star Shine top coat. This base coat is five free, vegan and cruelty free. So far an excellent base. It dries wonderfully and smoothly. Really seems like it will protect and preserve. Love the milky look to it, it dries clear though. This base is amazing. I usually chip my nails with in a couple of days of painting them, even with a base and this is making my polish last at least a week. nothing short of amazing. Thank you! A really nice quality base coat. Dries quickly to a glossy shine and has upped the quality of my manicures a bunch. I'll be buying more, for sure! At first, I didn’t notice a huge difference between using the base coat and not using it with the Comet Vomit nail polish I ordered. Now I realize that it just means the nail polish itself is that good because this base coat has now made several terrible Sally Hanson nail polishes I’ve had for ages usable and they don’t chip if I look at them wrong anymore! I highly recommend this base coat and this shop!